Sadey became part of the mix during Superbowl XLII weekend. Named after a Beatles song, she completes the Azure dynamic by providing endless joy, entertainment, and the occasional scrap of fabric that was once an actual dog toy. Sadey has proven to be the perfect dog. Travel is her thing; whether roughing it in the great outdoors or lounging at a four-star hotel, she’ll accompany Christie and Adam anywhere. To date she has traveled to 15 states. 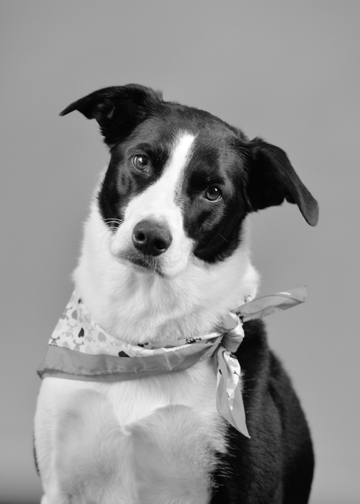 A highly photogenic border collie/lab mix, Sadey has been known to facilitate several photo opps with her charismatic personality. Frisbee, swimming, dog parks, roast chicken dinners and any type of cheese.